Using Gigapan technology, WIRED captured the largest photographed image of LA and invited the WIRED community to explore, discover and experience the Lexus CT Hybrid through a unique, first-to-market, cross-platform initiative. 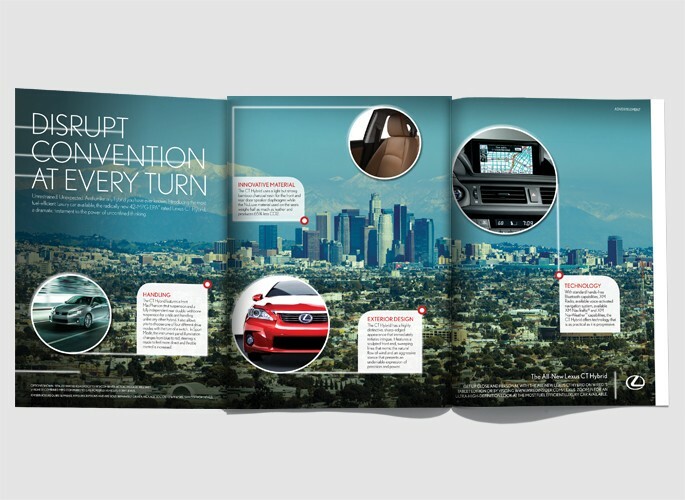 Print: WIRED developed a custom 4-page gatefold to showcase four impressive Lexus CT Hybrid features against a custom capture of the LA landscape. Magnified views and copy illustrated CT features across key points of interest. 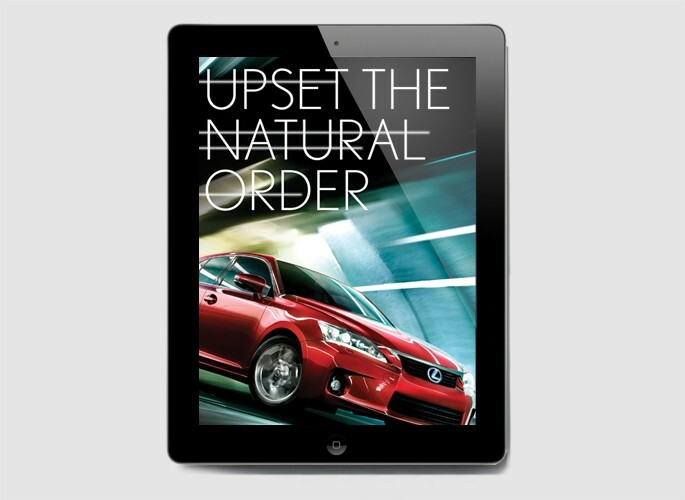 Distinct CTAs were developed to drive traffic to a more interactive experience with the Lexus Gigapan. 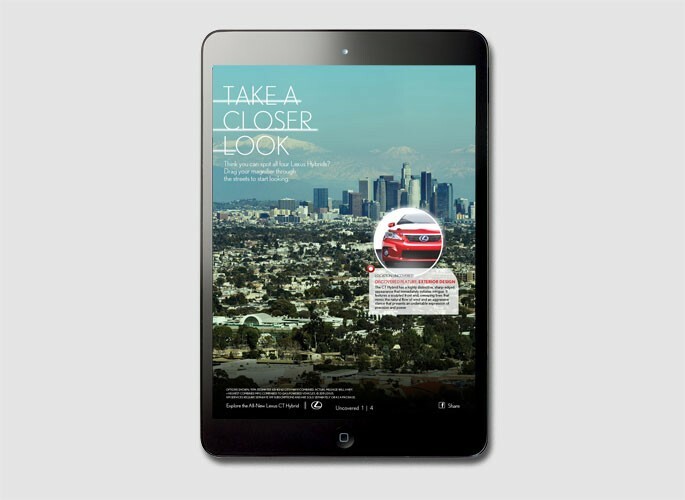 Tablet: In a first-of-its-kind execution, WIRED created a unique magnifier execution to emulate Gigapan functionality. Users could scan the image by swiping their finger back and forth across the landscape to see a ‘zoomed in view.’ Four hidden CT’s triggered a zoomed in pop-up window outlining specific vehicle features. On the bottom of the screen, a custom counter kept tally of the total number of CT’s found. Users had the ability to share scores via Facebook. Digital: A custom hub was created to showcase the full LA capture. Visitors were invited to explore the page and click highlighted features that corresponded to designated, zoomed-in portions of the image. Social: Prominently featured share tools allowed users to share via Facebook and Twitter.